We think some spaces benefit from Christmas decorations that are not the traditional red, green and white color scheme. Here we have a small foyer with chocolate brown walls painted in a tone on tone stripe. The only other color in the space was off-white trim. The space presented the perfect opportunity to nix the traditional decorating color schemes. 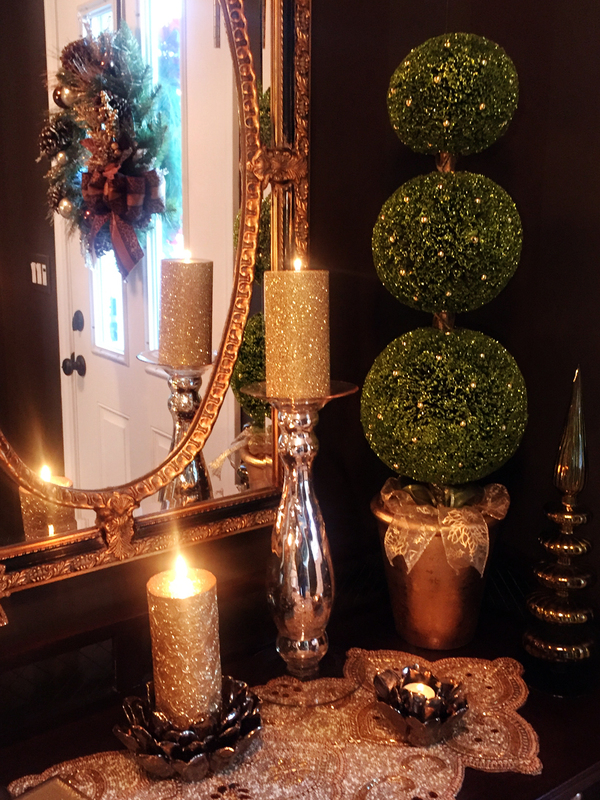 Combining gold, silver and bronze metallic finishes, mirrored and glass surfaces, beaded accents, and greenery, we gave the space a sophisticated warm glow. 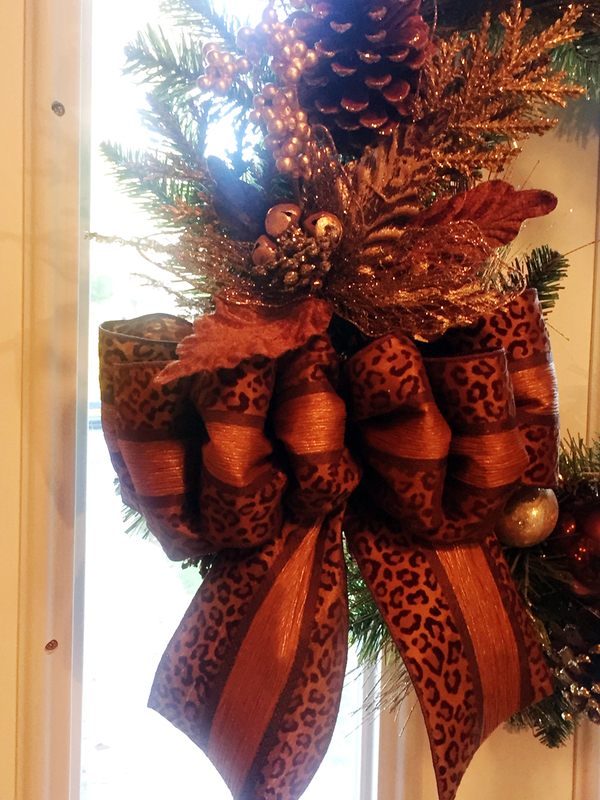 A simple off-the-shelf wreath can easily be dressed up with a new bow. Choose a fun pattern that echoes your personality; it doesn’t necessarily have to have a Christmas theme to be festive. 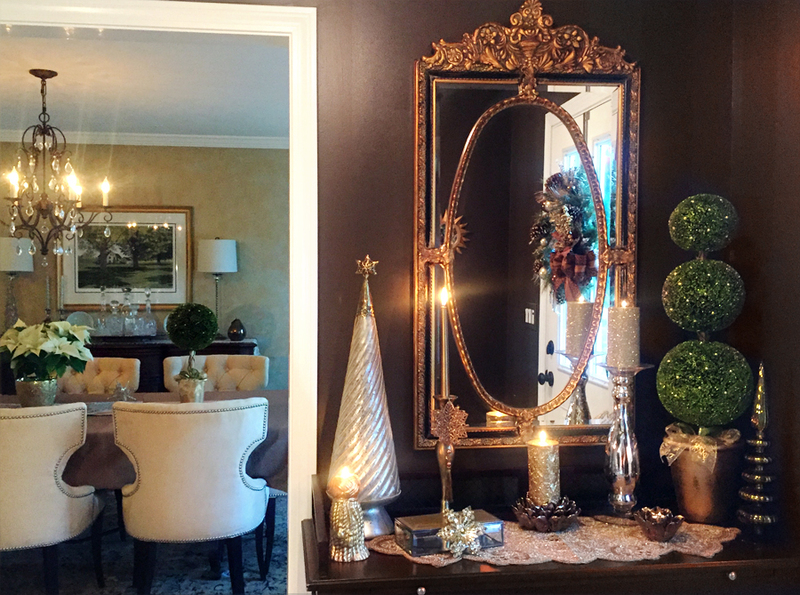 Tip: Shop the day after Christmas to take advantage of sale prices on decorations. Purchase a few things that coordinate with a color in your space, and add a few things every season.